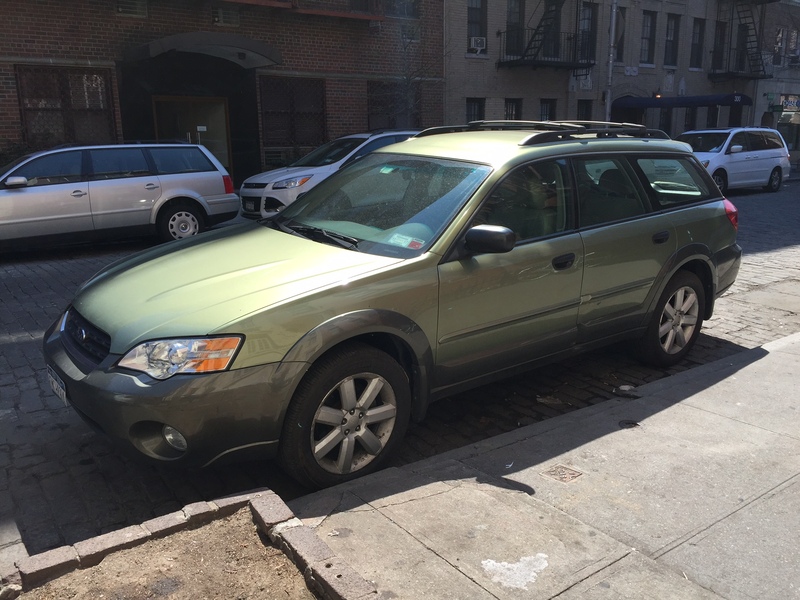 I own a sage green 2006 Subaru Outback with 84,000 miles on it. I park it on the street. In Manhattan. Last year someone keyed a big scratch in the passenger side door (maybe they didn’t like our bumper stickers?). It has a lot of parking dings. I’m good at finding parking spaces, but not so good at fitting in them. I’m also responsible for bringing the car in for routine maintenance, and keeping the insurance, registration, and inspections up to date. I don’t know much about cars. I grew up in the city and my parents never owned a car. A couple of times a year, if we were coming home late at night, my parents would splurge on a taxi. Mostly, we took the bus, or stayed in our neighborhood. I thought people who kept a car in the city were crazy. Then Donna inherited a little money from her father and used it to buy a house in the country. We got a car. I learned to drive in my thirties. Friday afternoon, I packed up enough food for a long weekend upstate and left the bags in the lobby of our apartment building. I took Gracie for a walk, and then we went to pick up the car (where I had parked it the day before after the street sweeper went by). I put Gracie in the back, slid into the driver’s seat, and put the key in the ignition. The dashboard lights and the radio came on, but the car would not start. My brother knows about as much about cars as I do. His coping mechanism is to buy a shiny new Lexus SUV every three years. I wish we had grown up around cars. I wish our Dad could have taught us how to listen to a car, how to parallel park, and how to merge into oncoming traffic safely. I wish I could have called that Dad on Friday. Instead, I called the auto repair shop I got my inspection sticker from. They said it could be the ignition switch, the starter, or the fuel pump. They told me to call AAA and get a tow. After I assured AAA that I was stuck in a safe (albeit tight) parking spot, they told me it would be about an hour. Gracie and I waited. I called Donna and told her to bring the groceries back upstairs and put them away. 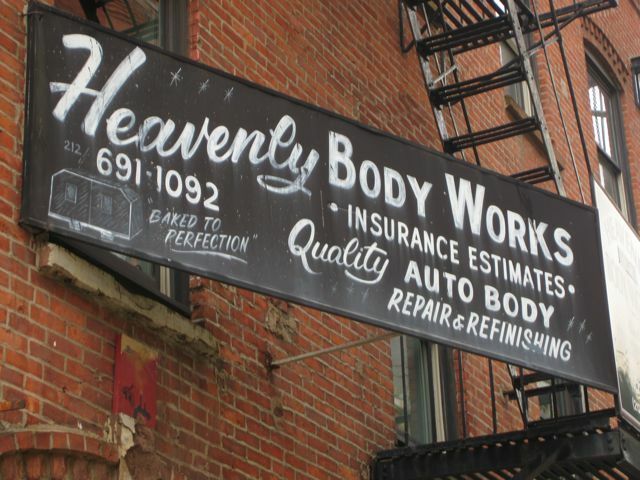 This entry was posted in Authenticity and tagged butch, car trouble, genderqueer, lesbian, minimalism, New York City, non-binary, queer, Subaru Outback, transgender on April 12, 2016 by Jamie Ray.